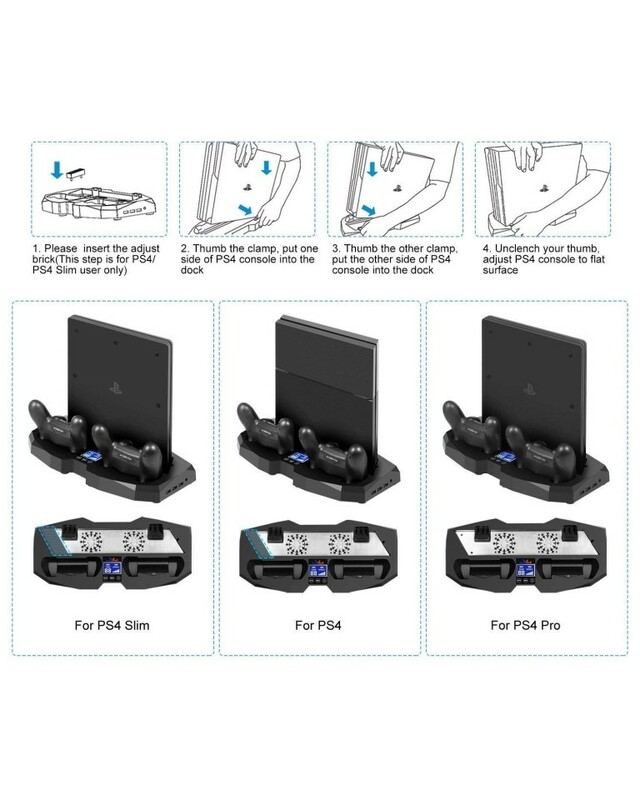 This Vertical stand is especially created for PlayStation 4 all models (PS4, PS4 Pro, and PS4 Slim) with intelligent design and novel appearance. 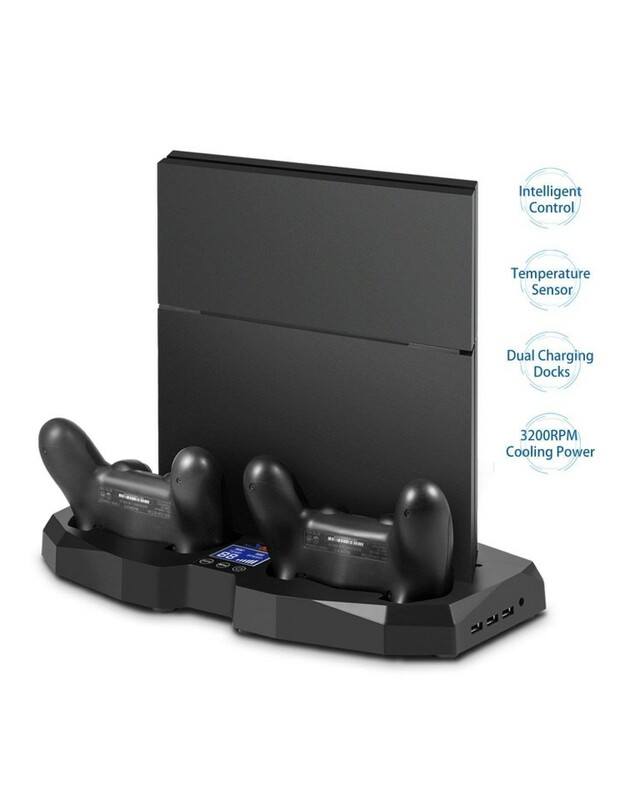 Dual cooling fans can keep PS4 console cool effectively and charging docks can charge 2 wireless controllers simultaneously. 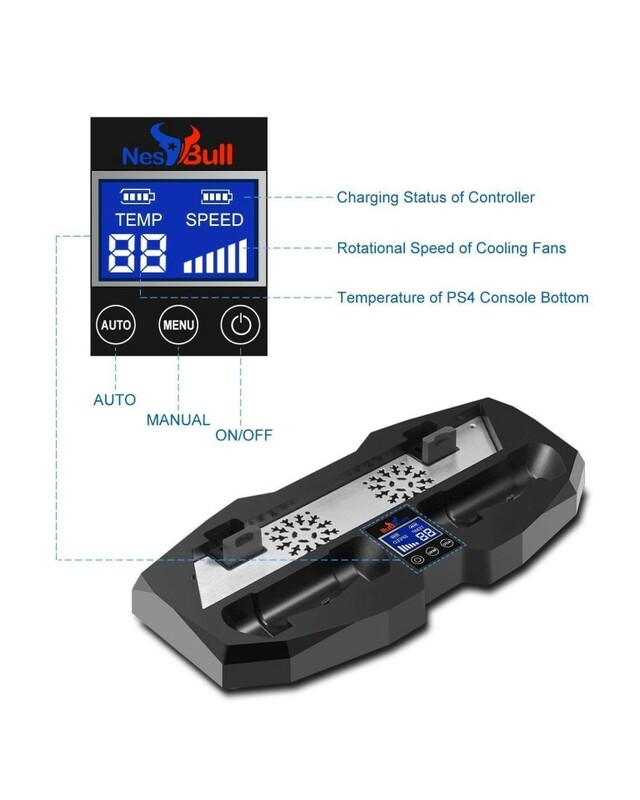 There is a touch control panel and all necessary information is showed on the display screen. 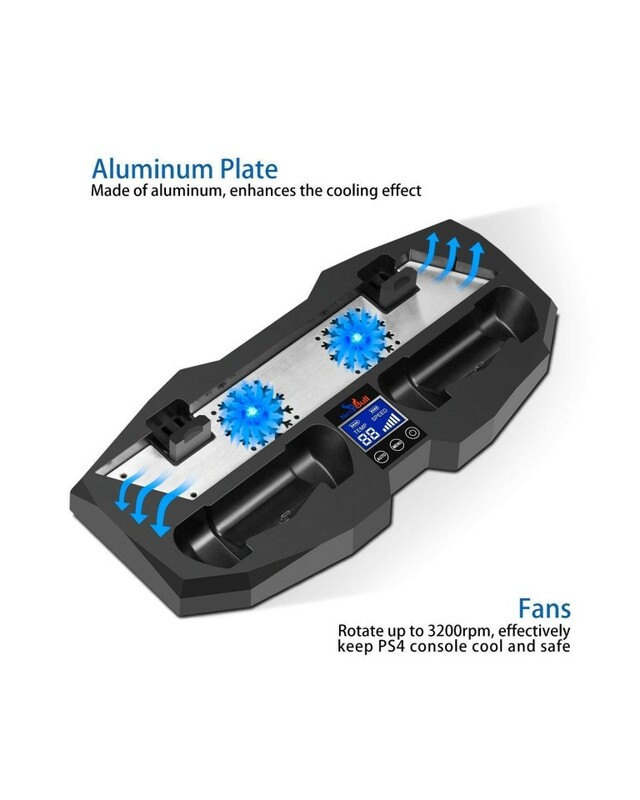 It prolongs the service life of your PS4 console. 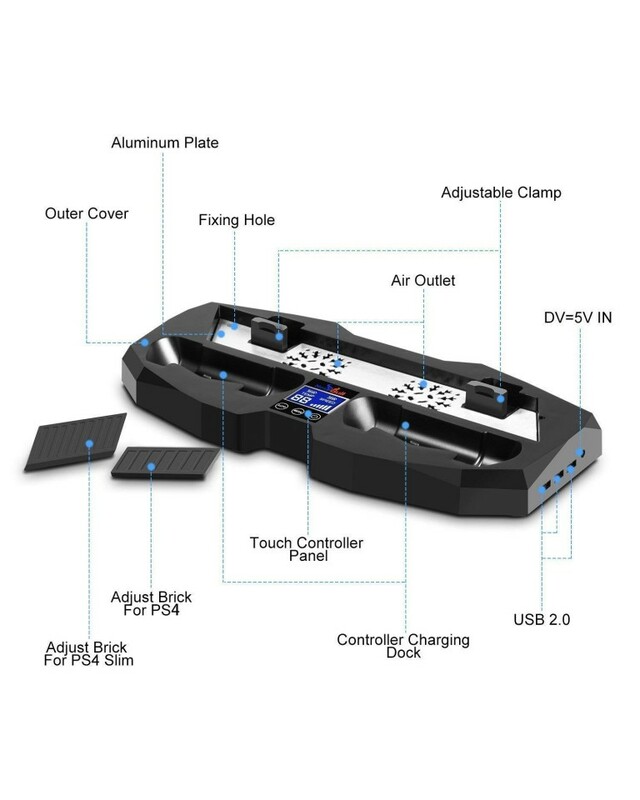 Founded in 2003, innoAura is a 3rd party gaming accessory makers in the world. 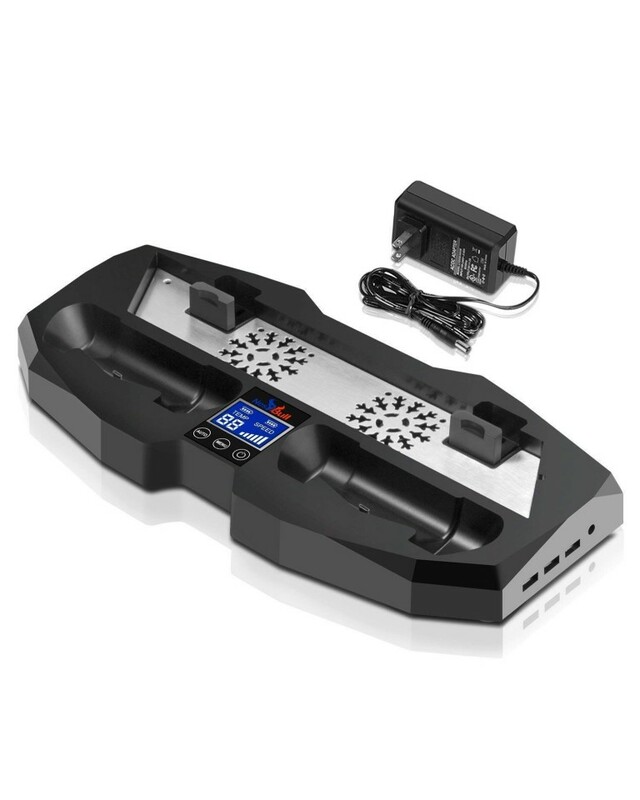 We dedicate to providing enjoyable and pratical accessory to echance your gaming experience. We do best to supply friendly services for local consumers in multiple gaming markets and now we cover America, Japan and Europe.